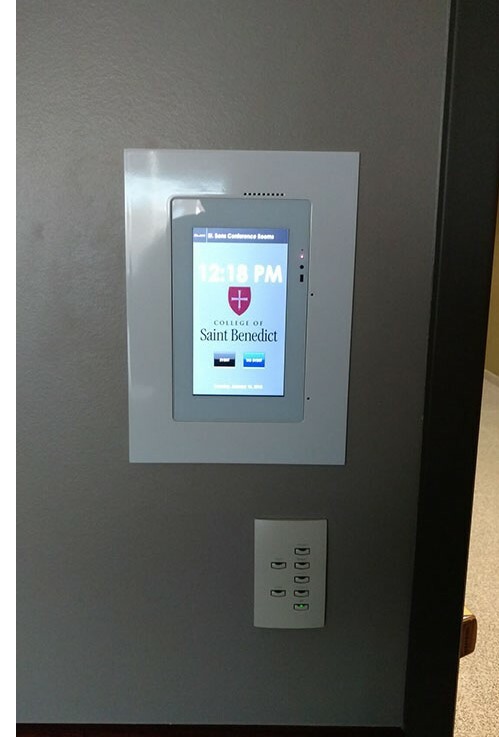 After an equipment failure and emergency replacement, The Gorecki Center at the College of St. Benedict upgraded to an easier, more reliable and more capable control system. 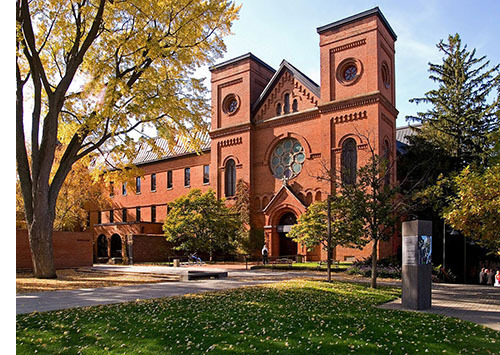 PETALUMA, CALIFORNIA — The Gorecki Center, an event and conference building at the College of St. Benedict in Minnesota, faced a problem familiar to the tech integration industry — the aging technology that controlled the projectors, speakers and microphones was failing, too old to repair, out of manufacture, and far less capable than modern solutions. When the legacy automation system finally did fail, Rogers, Minnesota-based integration firm J. Becher & Associates came to the rescue by installing an ELAN® control system, giving managers far better control, reliability and new mobile access. According to Greg Elsner, Technology Manager at J. Becher & Associates, “the existing system may have served them well in the past, but modern technologies have improved in basically every aspect,” he said. “The old system didn’t have two-way feedback, so there was no way to check the power or volume status of microphones and speakers without manually testing them. Microphones couldn’t be controlled individually. The system used outdated component video switching, required manual adjustments when convertible rooms were combined or separated, and didn’t offer any form of mobile access." With the installation of a new ELAN® system, these concerns are now a thing of the past for The Gorecki Center. Two-way feedback tells managers what is turned on and at what volume, individual microphones can be activated as needed, VGA and HDMI video switching provides ultimate flexibility, one-touch presets enable favorite room configurations, and the ELAN mobile app offers full control from any connected mobile device. 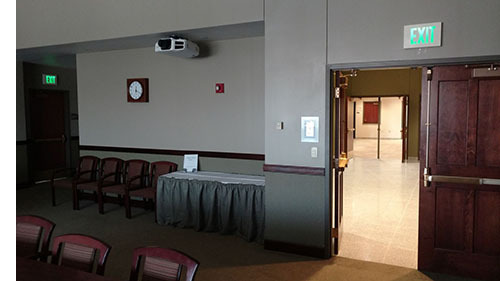 The upgrade had been under consideration for some time, so when the component video switcher began to fail, The Gorecki Center took steps to locate an identical “new” switcher to keep the existing system running. They soon realized the legacy replacement parts were no longer available or supported by the manufacturer of the existing system and a full system upgrade was necessary. Because the original system arrangement was replicated in the upgrade, regular presenters at The Gorecki Center were not troubled with having to learn an entirely new system operation which provided a smooth transition and a major added benefit. The three (3) moveable lecterns each received a microphone and built-in ELAN 7-inch touch panel, while a new projection system and a wall-mounted ELAN touchpad was installed in each of the six presentation rooms. This presenter-focused design was trusted and well-liked, so no changes were made. What improved, however, was the ease-of-use, and the overall system management. Audio feedback used to be a problem because mics couldn’t be powered on individually. That’s no longer an issue. Previously, troubleshooting, maintenance and adjustments required someone to visit the room and perform tests. Today, all this can be done quicker and easier from the mobile app. When the convertible walls are moved to combine rooms, a single button in the app now has the ability to combine the rooms’ digital infrastructure flawlessly. Another major benefit of the new system is its upgradeability, which will keep it relevant for years to come. The system can be expanded to control more room or systems, additional automation can be programmed, and different levels of control and access can be set for different employees. The entire system is powered and managed through a single central “brain”, the ELAN gSC10 system controller. ELAN, now part of Nortek Security & Control, develops an award-winning line of whole-house entertainment and control solutions distributed through a comprehensive channel of select dealers throughout the United States, Canada, and countries worldwide. The ELAN 8 update was honored with the “2017 Human Interface Product of the Year” award and continues to expand its intuitive functionality.